Your series is so awesome. I showed my wife, Evelina, and she said “so cute!” in a high pitch voice. This one I especially enjoyed. And if the Chicago Blackhawks would have list tonight I’d be crying! Fortunately, they won. I’ve never had a problem crying over happiness over sadness. I do kinda hate tearing up after a cough or in dry air, though… because then people think you’re trying to explain away crying when you’re actually not! 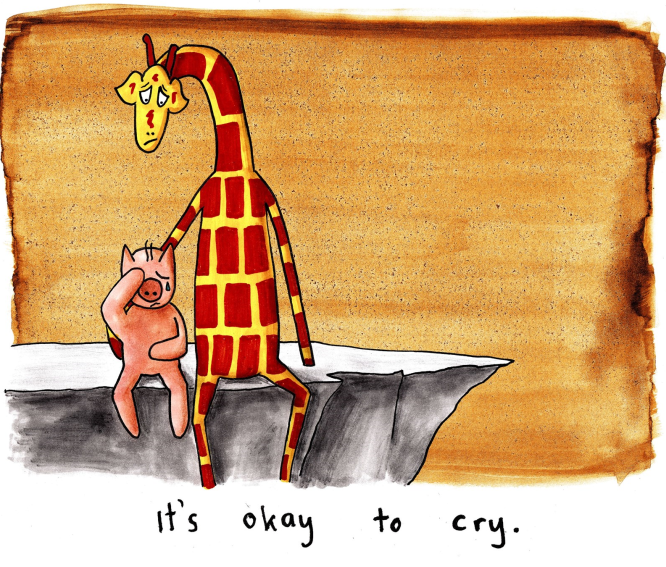 I needed this tonight – thanks for all the wonderful drawings you create, they say things we need to hear (and understand). So cute. I enjoy your posts so much. Keep up the good work.